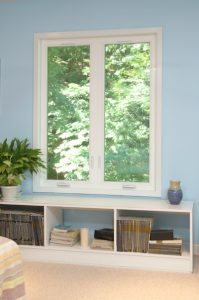 The most popular window choice, double hung windows feature upper and lower operating sashes. 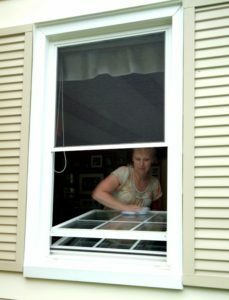 Both sashes tilt in for easy cleaning from the inside of your home. Signature Gold double hung windows feature a Constant Force Balance System for a lifetime of easy operation and durability far superior to spiral or block and tackle systems. 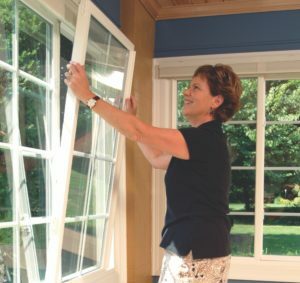 Slider (or sliding) windows are similar to double hung windows in that the sashes operate, but they slide from left to right instead of up and down. 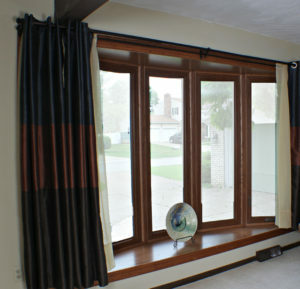 Slider windows are available with two or three lites (sashes). Signature Gold slider windows feature the same quality and durability as our double-hungs, and each sash lifts out easily for cleaning from inside. 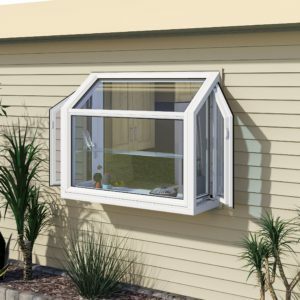 Casement windows open outward, operating by means of a handle, offer maximum ventilation and actually seal tighter when the wind blows. The Commander Casement series, part of the Signature Gold family of windows, offers the same top-of-line quality and convenience as our other window styles. A single lever operates the multi-point locking system, and the operating handle folds flush so it won’t get in the way of your window treatments. Similar to casement windows, awning windows are operated with a rotating handle, but they swing out vertically instead of horizontally. Awning windows also offer a large opening for airflow, with the added advantage that they can often remain open during a gentle rain. 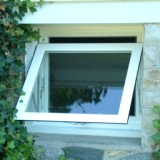 Awning windows also make a great add-on for ventilation above another window. The centerpiece of a room, a bay or bow window is perfect for that large opening. Bay windows consist of three segments, often with a picture window as the center component. A bay projects outward from the house for an attractive architectural feature. Bow windows are usually comprised of at least five windows to achieve a more graceful, curving appearance. Some or all of the windows in a bay or bow may be operating windows, usually either double hungs or casements. A garden — or garden bay — window makes a beautiful highlight above a kitchen sink, and a warm and welcoming home for your plants. With glass surfaces on the top, front and sides, a garden window allows plenty of light. And the side sashes operate to let air come through when you want it. 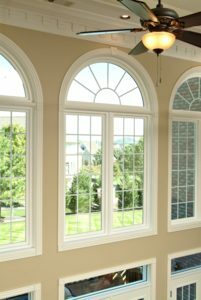 Need a perfect semicircle above your double hung windows? Or a graceful arch over a patio door, or a complete circle as an accent? The Signature Gold window family includes a wide variety of specialty fixed (non-operable) windows to meet your architectural needs, whatever they may be. © Signature Gold. All rights reserved.